Happy customers are the key to any successful business. Business owners everywhere know the importance of keeping customers happy. As the old adage goes, “the customer is always right.” Unfortunately, the best advertising in the world will not increase sales without great customer service. Good business practices require more than just an old proverb. There are plenty of ways that you can make changes to your company in order to ensure happy customers. Follow some of our top six tips and tricks below and see the results for yourself. Branding can be an important factor in keeping your customers happy. When you build a brand, you develop specific values and characteristics that will translate to your audience. Having a clear idea of what your company represents can have an immense impact on your customer base. For example, if you want to create a feminist identity for your brand, consider having many women in management. A strong brand will be memorable. As long as you create something that they can connect to, you will find happy customers. If you are trying to sell your idea, communication is essential. That is why communication is essential to the success of your business, but it is especially important when it comes to happy customers and clients. Whether you communicate through mail, phone or social media, keeping your customers engaged can make them feel valued and important to your company. Make the extra effort to reach out to them. This is a great way to keep your customers happy. If you want to have happy customers, remember to always be respectful. Make sure your team is always respectful as well. Almost a third of consumers experience rude customer service at least once a month. Of that number, 58% percent tell their friends after. This will, of course, work against your long-term company reputation. Make sure you are always respectful, polite and kind in interactions with customers. Practicing good manners should be standard. It will certainly lead to more happy customers. Communication is a two-way street. Another key way to keep customers happy is to listen to what they have to say. Reciprocity is the best way to engage with them. Respond to complaints in a timely manner, listen to what they have to say and apply it to your business practices. This should be done no matter whether you own a retail store or an automotive start up.This can be one of the best ways to improve your customer relations. Happy customers start with happy employees. When you have a dedicated team of experts who care about the work they are doing, you will soon find that your customers take notice. Identify your best employees and recognize them for their successes. Their interactions leave customers with a lasting impression of your business, which is why it is so important that they have a positive attitude. Be sure that your employees feel respected and happy with their position. If they are not, then you are not likely to see many happy customers. Adding a personal touch, like all the best trade show booths do, can do wonders for your customer relations. A little bit of gratitude can go a long way. Whether it is a mall birthday gift for loyal customers or a thank you note added to every shopping bag, this can be a great way to show that you value their business. Making your customers feel as if they are appreciated is an easy way to keep them smiling. Happy customers require more than good products or services. 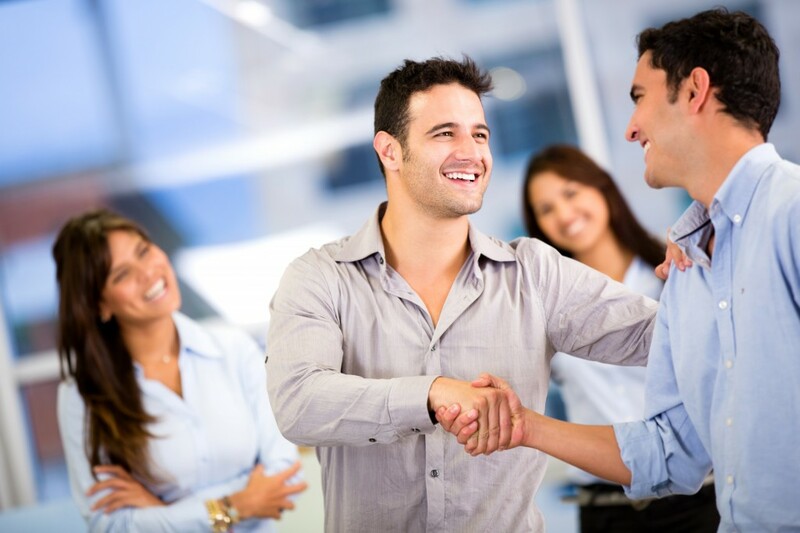 Positive customer relations involves an experience in which everyone feels valued, respected and appreciated. By developing a dialogue with your customers and showing gratitude for their business, you can make sure that they keep coming back. You also increase the likelihood that they will recruit a friend for their next visit. Test out these tips and tricks for yourself to see if they help to improve your business.